Is the Zeiss ZX1 good for Landscape Photography? Zeiss ZX1 has a score of 78 for Landscape Photography which makes it a GOOD candidate for this type of photography. Zeiss ZX1 will satisfy most of your needs, but if you are looking for a camera that is even better suited to Landscape Photography, we recommend you to check the Alternative cameras at the bottom of this page. Large sensor in Zeiss ZX1 ensures a good low light image quality compared to smaller sensors, and it also provides higher pixel quality compared to smaller sensors. 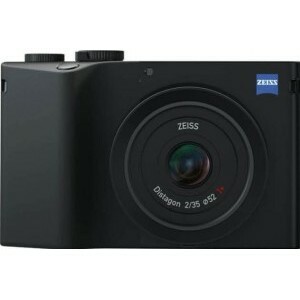 Zeiss ZX1's 37.0MP sensor is perfect for landscape photography. It will capture a lot of fine details and let you print them larger. Even though there are very good examples of landscapes photos taken with tele lenses, most of the landscape photos are taken with wide angle lenses. Unfortunately, with the widest focal length of 35mm, Zeiss ZX1 doesn't provide a real wide angle coverage.